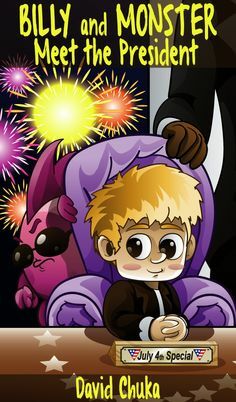 It was my birthday on Sunday and to celebrate I’m doing a raffle where you stand the chance to win $25 plus you can download the first book in the Billy and Monster series for FREE to your favourite reading app. Many bloggers are broadcasting this giveaway to their readers and followers and below details all you need to know to enter and win plus get your own copy of Billy and the Monster who Loved to Fart. Summary: In the first book in this epic tale, we discover that Billy loves Monster and Monster loves Billy. They play together. They have a bath together.They even go to school together. There’s just one thing that threatens to spoil their friendship. Monster loves to Fart!…and everyone blames Billy for it! 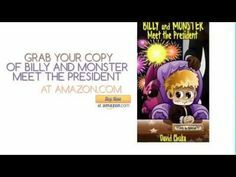 Will Monster make Billy the uncoolest kid at school? Will Monster cause an irreparable hole in the Ozone layer? Will Monster and Billy both learn how to behave properly in a social environment? Get your copy today and enjoy this funny book for kids (and also adults), that’s not just big on laughs but also teaches a valuable lesson for social situations. David Chuka lives in London with his lovely wife and two adorable children. His family are usually the first people to hear his funny and quirky tales. He was inspired to write his first book, ‘If You See a Doctor‘ after he struggled to find a book for his daughter who was a beginner reader. He’s gone on to write more books including the popular ‘Billy and Monster‘ series, a funny set of books about a little boy and his Monster who get into all sorts of funny situations and learn about moderation, friendship, self control, bravery etc. Young children can relate to Billy and you’ll love sharing his adventures with your children, grandchildren and loved ones. He would like to keep you updated on what he’s working on and any giveaways he currenty has on offer. 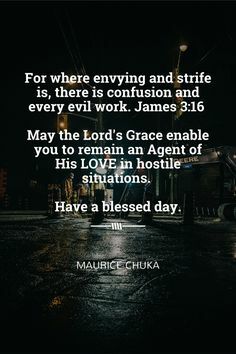 Please subscribe to his newsletter at www.davidchuka.com and you’ll get a FREE Coloring and Activity book for your loved ones. Make sure to watch the video trailers for his most popular books on this Amazon Page and you’ll get a little taste of why his books have garnered more than 300 glowing reviews.